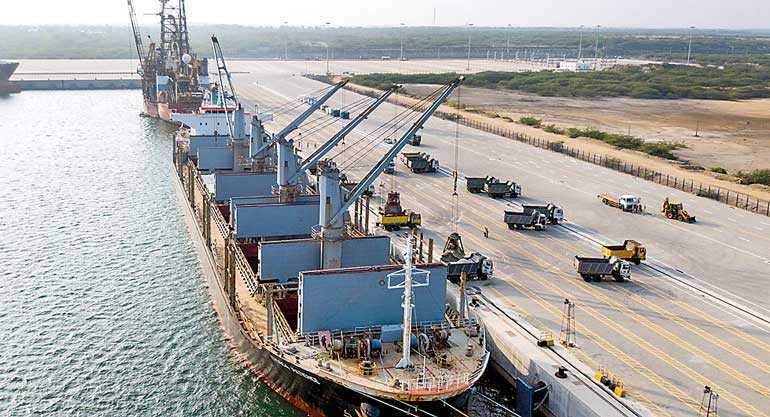 The Hambantota International Port (HIP) scored another first recently when the ‘Ithaca Patience’ docked in its harbour to discharge 27,150MT of slag cargo – an additive used in the manufacture of cement. The operation was successfully completed with high levels of efficiency, peaking at 11,000 MT on some days. 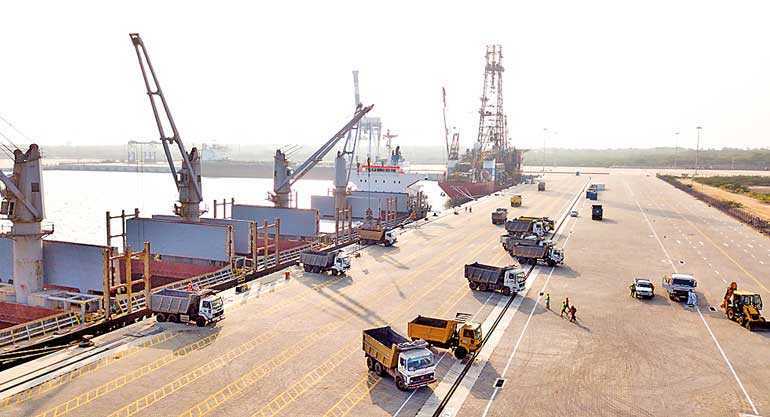 In the past, slag cargo was usually discharged at the Galle Harbour off smaller vessels.Due to Galle port having much less draught clearance this type of larger bulk vessel is unable to call at Galle and therefore the discharging operation was carried out successfully at Hambantota. Wickramasinghe also confirmed that the SLAG cargo shipment was a considerable cost saving for INSEE Cement in terms of economies of scale, as HIP has a deeper draught that can accommodate large bulk carriers.The COO says the slag shipment has further diversified the activities of the Hambantota International Port, which is now positioned to be Sri Lanka’s number one multipurpose port. The Port which has the necessary infrastructure to provide services such as container handling, general cargo, RORO, passenger, oil, bulk terminal, gas and project cargo has currently reached efficiency levels that can compete with any other port in the region.